You might be doing breakfast wrong. Preparing breakfast for your family may already come easily to you, especially if you believe that it's the most important meal of the day. But are you doing it the right way? 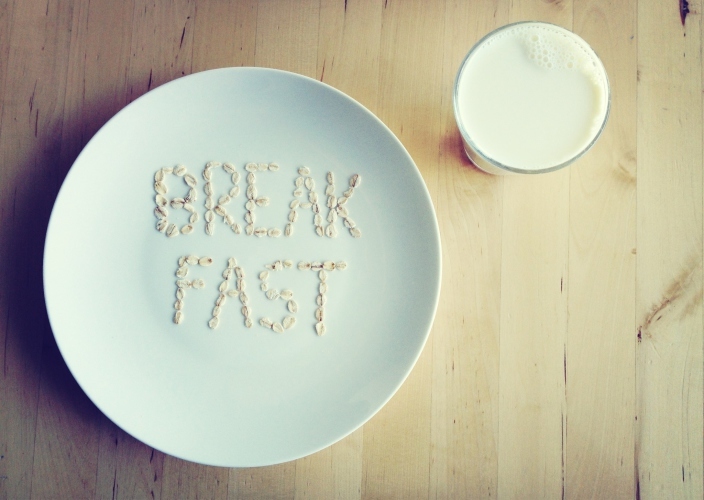 Here are five things you're probably doing wrong when it comes to breakfast. While it's understandable to indulge in occasional brunch dates, it's also important to make sure that you eat meals on time, especially in the morning. Studies show that having regular mealtimes will not only help your metabolism, it also can help keep your blood sugar levels more stable, making you feel less hungry throughout the day. Admit it: Breakfast without a good serving of fried rice feels unsatisfying. This goes the same for popular breakfast options such as pancakes, waffles, and other foods that are packed with carbohydrates but are low in fiber. The thing is, because your body digests these "white" carbs faster, your energy drops faster as well. What you can do is stock up on fiber-rich food such as oatmeal and cereals, and add Alaska Evaporated Filled Milk to make the meal more filling and nutritious. Remember this quote: "Eat breakfast like a king, lunch like a prince, and dinner like a pauper"? Consuming a heavy breakfast is a sure way to give you the energy boost you need, but make sure you eat the proper amount. Eating too much in the morning may result in an energy crash, which defeats the purpose of your first meal of the day. You've probably seen way too many photos of a healthy family eating breakfast and drinking OJ alongside it. What's good about it is that fresh fruit juices are good sources of energy in the morning. The bad news is that you won't always have the time to squeeze oranges in the morning, so you'll probably resort to instant juices with lots of sugar. You might as well eat the fruit as it is and drink water instead. Breakfast is the perfect time of the day to give your body a headstart on all the important nutrients it needs. Did you know that your body typically needs 1,500 mg of calcium per day to prevent osteoporosis? The good news is that drinking a glass or two of milk isn't the only way to get your daily need for calcium and other nutrients. Add Alaska Evaporated Milk and Alaska Sweetened Condensed Filled Milk to your breakfast to make it creamier and healthier. Alaska has 20+ Essential Nutrients for stronger bones and healthier mornings. Start your day right with Alaska.